The Band Perry played to a full house at the Kitchener Auditorium on January 22nd. With opening acts Lindsay Ell and Easton Corbin, the crowd was ready for a little bit of country and a taste of rock and roll. 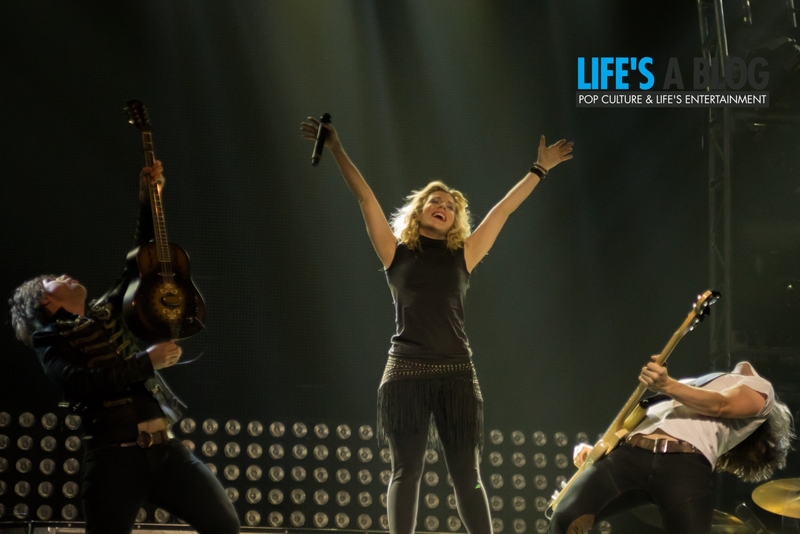 After seeing the Band Perry at the 2013 Boots and Hearts Country Music Festival, I was enamored with their instant connectivity to the crowd and their high energy performance. Despite the frigid temperatures, The Band Perry came through by providing a stellar performance, a salute to Canada by playing the national anthem, and inviting an 8-year-old fan on stage to sing ‘Don’t Let Me Lonely’ with lead singer Kimberly. 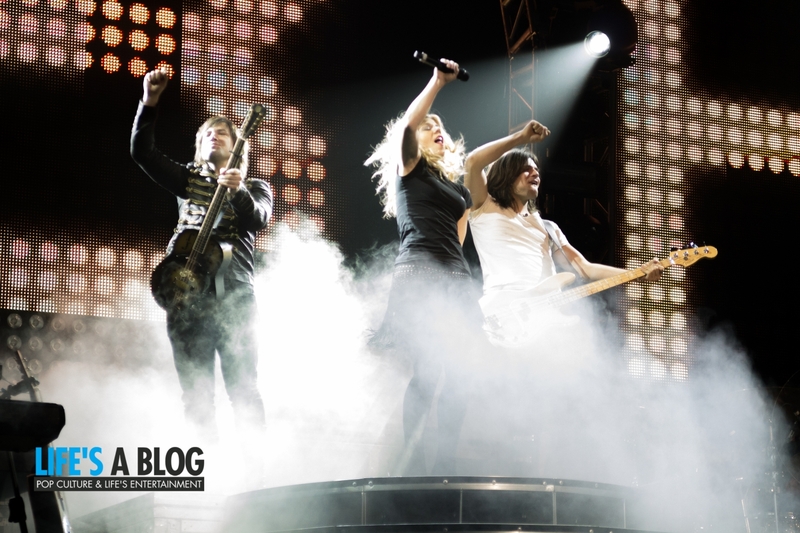 The sibling trio, Kimberly and younger brothers Neil and Reid, hit the circuit in 2010 with their self titled album ‘The Band Perry’ and produced many hit singles along the way. Lead singer Kimberly brings life to the group with her vocal range, good looks and vivacious performance, while Neil and Reid are close to the forefront displaying their vocal and instrumental talent. The harmonies are amazing! During the concert, Kimberly explained motivation Pioneer, the title track of the album and the name of the tour. “It’s about being proud of yourself, proud of your work and proud of your country. Tonight it’s about Oh Canada.” said Kimberly. Before starting Pioneer, Neil took the Canadian flag to the centre stage and a fiddle began playing Oh Canada and the whole audience stood and sang. If you haven’t heard of The Band Perry or are debating on attending one of their concerts, my review is simple. To say the concert was perfection is an under statement. Get your tickets today as there are only two Canadian shows left; Kingston, Ontario on January 28th and Oshawa, Ontario on January 29th.